Spurred in part by its fast-growing renewable energy sector, Texas has become a major testing ground for storage technology that could revolutionize the power grid. LANCASTER — No one at the equipment lot here would blame you for failing to notice the drab green box sitting across from the spare transformers. But the lithium ions inside that refrigerator-size container are part of a wave of energy storage technology that could help Texas revolutionize its electric grid. 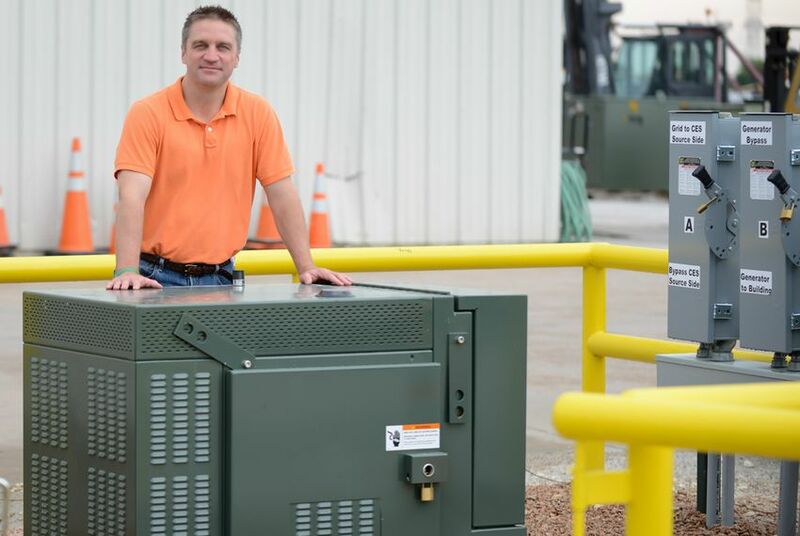 Oncor, the state’s largest transmission company, is installing five of the batteries this summer in South Dallas neighborhoods, providing backup power to schools, traffic lights and a fire station. With the capacity to each store 50 kilowatt-hours of energy — enough to power three to five houses for three hours — the batteries are designed to kick in when the electricity trips off, whether because of a falling branch or equipment issues. The project’s $500,000 cost is an afterthought for the multibillion-dollar company, but it is part of a larger trend of investment in what the industry has long considered its holy grail: a backup source of low-carbon energy from intermittent sources like wind and the sun. In part because of its fast-growing renewable energy sector, Texas has become a major testing ground for storage technology, which, while still decades away from grid-wide use because of its costs, is gaining attention as the technology improves. The experiments include Oncor’s residential batteries and its $1.5 million plan to add a solar- and battery-powered microgrid to a lab that it is building. But Texas also houses much larger projects, like Duke Energy’s 36-megawatt lead acid battery — North America’s largest such project — at a wind farm in the West Texas town of Notrees. The U.S. Department of Energy picked up half of the $44 million cost of the project, which went online in January 2013. And last year, Dresser-Rand announced plans to build a 317-megawatt compressed air storage facility in East Texas’ Tennessee Colony, expected to cost $200 million. Ben Kellison, a grid analyst for GTM Research, is among several specialists who list Texas alongside California and New York as one of the country’s top energy storage testing grounds. Several factors are driving storage projects in Texas, most notably its nation-leading wind power sector, spurred by a $7 billion transmission project completed in December that connects windy West Texas to cities with rising power needs. And the state’s long-dormant solar sector is growing. The rise of such intermittent power, coupled with the high power demands during Texas’ scorching summers, has driven demand for easy-to-dispatch backup sources. In the coming years, energy storage technology will compete with other ways intended to relieve stress on the grid. That includes a tool considered largely untapped: “demand response,” which relies on high-tech thermostats and meters that allow utilities to power down air-conditioners or heaters or pool pumps when demand peaks. Disclosure: CPS Energy is a corporate sponsor of The Texas Tribune. Oncor was a corporate sponsor of the Tribune in 2012. A complete list of Texas Tribune donors and sponsors can be viewed here.